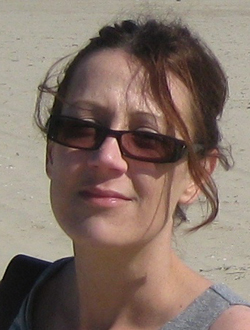 Véronique Gouverneur secured a PhD in chemistry at the Université Catholique de Louvain (LLN, Belgium), under the supervision of Prof. L.Ghosez. In 1992, she moved to a postdoctoral position with Prof. R. Lerner at the Scripps Research Institute (California, USA). She then accepted a position of Maîre de Conférence at the University Louis Pasteur in Strasbourg (France). She worked with Dr C. Mioskowski and was Associate Member of the ISIS Institute directed by Prof. J-M. Lehn during this period. She started her independent research career as a member of the chemistry faculty at the University of Oxford in 1998. Her research aims at developing new approaches to address long-standing problems in the synthesis of fluorinated analogues of natural products, pharmaceutical drugs and molecular [18F]labelled probes for PET imaging. Since her appointment in Oxford, she holds a tutorial fellowship at Merton College Oxford where she teaches organic chemistry. She is Professor of Chemistry at the University of Oxford since 2008 and her research published in > 160 peer-reviewed publications and presented by invitation at > 120 (inter)national conferences was recognised by numerous awards. She was the Blaise Pascal Chair (Ecole Normale Supérieure de Paris/Commissariat d’ Energie Atomique de Saclay/Paris Sud) (2012-2014) and is currently holding a Royal Society Wolfson Research Merit Award (2013-2018) and Tetrahedron Chair 2016. Tetrahedron Chair: "Classics and Moderns in Fluorine Chemistry"
Dave MacMillan was born in Bellshill, Scotland and received his undergraduate degree in chemistry at the University of Glasgow, where he worked with Dr. Ernie Colvin. In 1990, he began his doctoral studies under the direction of Professor Larry Overman at the University of California, Irvine, before undertaking a postdoctoral position with Professor Dave Evans at Harvard University (1996). He began his independent career at University of California, Berkeley in July of 1998 before moving to Caltech in June of 2000 (Earle C. Anthony Chair of Organic Chemistry). In 2006, Dave moved to the east coast of the US to take up the position of James S. McDonnell Distinguished University Professor at Princeton University and he became Department Chair in 2010. Dave has received several awards including the Ernst Schering Award in Biology, Chemistry and Medicine, Germany (2015), ACS Harrison Howe Award (2014), NJ ACS Molecular Design Award (2014), ACS Award for Creativity in Synthesis (2011), the Mitsui Catalysis Award (2011), ACS Cope Scholar Award (2007), ACS EJ Corey Award (2005), the Corday-Morgan Medal (2005). In 2012 Dave became a Fellow of the Royal Society (FRS) and a Fellow of the American Academy of Arts and Sciences. Dave helped launch and was editor-in-chief of Chemical Sciences (2009-1014) and is currently Chair of the NIH Study Section SBCA. 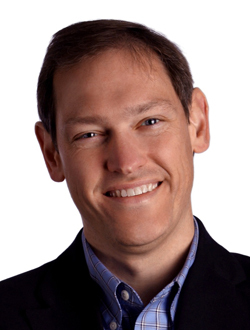 Dave is a scientific consultant with Merck (worldwide), Amgen (worldwide), Biogen Biopharma, Abbvie Research Laboratories, Johnson & Johnson Pharmaceuticals, UCB-Celtech, Constellation Pharmaceuticals and Gilead Research Laboratories. Dave is also a member of the scientific advisory boards of Firmenich (Switzerland) and Kadmon Pharmaceuticals (US), and a permanent member of the RSRC board at Merck Research Laboratories. Along with Dr. Paul Reider, Dave is a co-founder of Chiromics LLC, a growing biotech that seeks to devise new strategies and screening techniques for the identification of drug-like molecules. 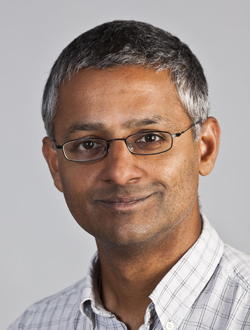 Shankar Balasubramanian is the Herchel Smith Professor of Medicinal Chemistry at the University of Cambridge and senior group leader at the Cambridge Institute. He is a nucleic acids expert who is recognised for contributions to chemistry and its application to the biological and medical sciences. He is a co-inventor of the leading next generation nucleic acid sequencing methodology, Solexa sequencing (now Illumina) that has made routine, accurate, low-cost sequencing of human genomes a reality and has revolutionised biology. He has made seminal contributions to the identification, elucidation and manipulation of non-coding genetic elements, particularly four-stranded structures called G-quadruplexes. His work on the intervention of nucleic acid function using small molecules has revealed a number of molecular mechanisms that can be exploited, e.g. to modulate the biology of cancer. More recently, inventive contributions from his group on chemistry for quantitative analysis of 5-methylcytosine, 5-hydroxymethylcytosine and 5-formylcytosine at single base resolution. 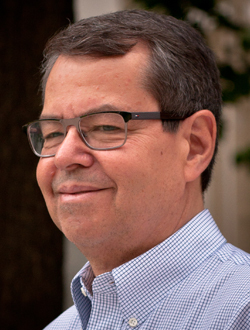 Stephen L. Buchwald was born (1955) in Bloomington, Indiana. He received his Sc.B. degree from Brown University in 1977 where he worked with Kathlyn A. Parker and David E. Cane at Brown University as well as Professor Gilbert Stork at Columbia University. He entered Harvard University as a National Science Foundation Predoctoral Fellow in 1977 and received his Ph.D. in 1982. His thesis work, with Jeremy R. Knowles, concerned the mechanism of phosphoryl transfer reactions in chemistry and biochemistry. He then was a Myron A. Bantrell postdoctoral fellow at Caltech with Professor Robert H. Grubbs where he studied titanocene methylenes as reagents in organic synthesis and the mechanism of Ziegler-Natta polymerization. In 1984 he began as an assistant professor of chemistry MIT. He was promoted to the associate professor (1989) and to Professor (1993) and was named the Camille Dreyfus Professor in 1997. In July 2015, he became Associate Head of the Chemistry Department at MIT. During his time at MIT he has received numerous honors including the Harold Edgerton Faculty Achievement Award of MIT, an Arthur C. Cope Scholar Award, the 2000 Award in Organometallic Chemistry from the American Chemical Society and a MERIT award from the National Institutes of Health. He has also been the recipient of the Bristol-Myers Squibb Distinguished Achievement Award and the CAS Science Spotlight Award, both received in 2005 and the American Chemical Society's Award for Creative Work in Synthetic Organic Chemistry as well as the Siegfried Medal Award in Chemical Methods which Impact Process Chemistry, both received in 2006. In 2010 he received the Gustavus J. Esselen Award for Chemistry in the Public Interest. 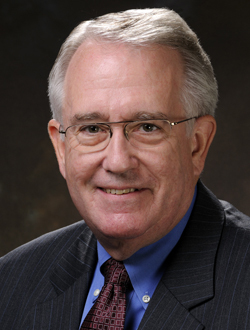 He received the 2013 Arthur C. Cope Award from the American Chemical Society. In 2014 he was the recipient of the Linus Pauling Medal Award and the Ulysses Medal (University College Dublin). In 2015 he received an honorary doctoral degree from the University of South Florida as well as receiving the BBVA Frontiers in Knowledge Award in Basic Sciences (2014 Award). In 2016 he will receive the William H. Nichols Award from the New York Section of the American Chemical Society. In 2000, he was elected as a fellow of the American Academy of Arts and Sciences and in 2008 he was elected as a member of the National Academy of Science. He is the coauthor of over 435 published or accepted papers and 47 issued patents. He serves as a consultant to a number of companies and is an associate editor of Advanced Synthesis and Catalysis. Kuiling Ding received his B.S. in chemistry from Zhengzhou University in 1985 before studying physical organic chemistry at Nanjing University, where he received a Ph.D. in 1990 with Professor Yangjie Wu. He became an assistant professor at Zhengzhou University in 1990 and a full professor at the same university in 1995. During 1993-1994, he was engaged in a postdoctoral research with Professor Teruo Matsuura at Ryukoku University in Japan. In the period from 1997 to 1998, he was a UNESCO research fellow with Professor Koichi Mikami at Tokyo Institute of Technology in Japan. He joined Shanghai Institute of Organic Chemistry, CAS, in Dec of 1998 as a professor of chemistry and has been the director of the institute since 2009. He also serves the International Advisory Boards of Angew. Chem. Int. Ed. (2014-), Acc. Chem. Res. (2014-), Organometallics (2009-), and Adv. Synth. Cat. (2011-), as well as the Editorial Board of Cat. Sci. & Tech. (2010-2013) and Chem. Eur. J. (2014-). He has been invited to join the editorial board of Org. Lett. as an associate editor since 2012. 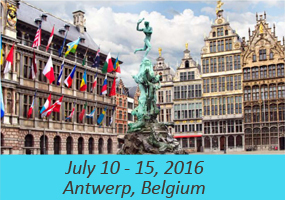 His research interests include the development of new methodologies and novel catalysts for asymmetric catalysis. He received National Natural Science Award of China in 2009, and the 1st Yoshida Prize of International Organic Chemistry Foundation (IOCF) Japan in 2015. He was elected as a member of Chinese Academy of Sciences in 2013. 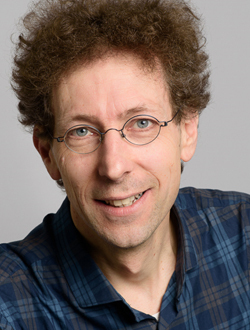 Kurt Faber is prof. of organic chemistry at the University of Graz. After his PhD in 1982 (Univ. 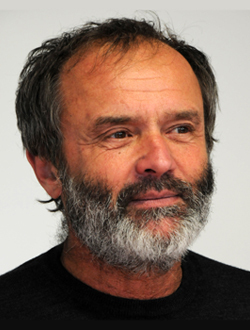 Graz) and a post-doctoral fellowship (St. Johns, Canada), he became associate professor at the TU Graz in 1997. The following year he was appointed full professor at the University of Graz, where he since heads a research group devoted to the use of biocatalysts for the transformation of non-natural compounds by enabling difficult or 'impossible' chemical transformations. He was a visiting scientist at University of Tokyo (1987/1988), Exeter University (1990), University of Trondheim (1994), Stockholm University (2001), University of Minnesota (2005) and the ESPCI in Paris (2010). 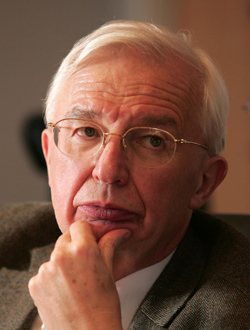 Jean-Marie LEHN was born in Rosheim, France in 1939. In 1970 he became Professor of Chemistry at the Université Louis Pasteur in Strasbourg and from 1979 to 2010 he was Professor at the Collège de France in Paris. He is presently Professor at the University of Strasbourg Institute for Advanced Study (USIAS). He shared the Nobel Prize in Chemistry in 1987 for his studies on the chemical basis of “molecular recognition” (i.e. the way in which a receptor molecule recognizes and selectively binds a substrate), which also plays a fundamental role in biological processes. Over the years his work led him to the definition of a new field of chemistry, which he has proposed calling “supramolecular chemistry” as it deals with the complex entities formed by the association of two or more chemical species held together by non-covalent intermolecular forces, whereas molecular chemistry concerns the entities constructed from atoms linked by covalent bonds. Subsequently, the area developed into the chemistry of "self-organization" processes and more recently towards "adaptive chemistry", dynamic networks and complex systems. Author of more than 950 scientific publications, Lehn is a member of many academies and institutions. He has received numerous international honours and awards. Professor William D. Lubell received his B.A. from Columbia College (1984) and Ph.D. under the supervision of Professor Henry Rapoport at the University of California, Berkeley (1989). As a Japan Society for the Promotion of Science Fellow (1990-1991), he studied enantioselective catalysis with Professor Ryoji Noyori at Nagoya University, Japan. In 1991, he joined the Department of Chemistry at the Université de Montréal, Canada, where he is Full Professor. Co-author of ~250 scientific publications, he researches the synthesis and use of heterocycles, amino acids and peptide mimics in medicinal chemistry and peptide science. 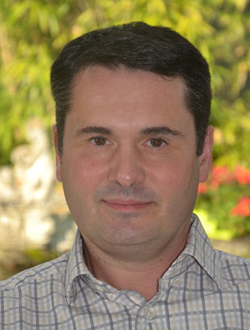 Associate Editor of Organic Letters, and editorial board member of journals in peptide and drug design, his honors include the Boehringer Ingelheim Young Investigator Award, the DuPont Canada Educational Aid Grant, the Danish National Bank Award, the Merck Therapeutic Research Award and in 2013 the Canadian Society for Chemistry Bernard Belleau Award for achievements in medicinal chemistry. Originator of Molecules of Life (www.moleculesoflife.ca), he explores experiential education techniques for teaching elementary school students about molecules. 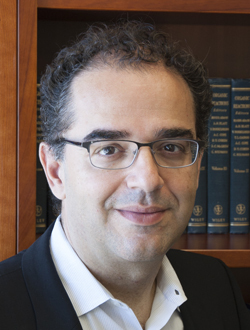 Studying novel approaches for educating and performing research on medicinal chemistry in academia, Lubell has made seminal advances towards employing peptides in drug discovery. 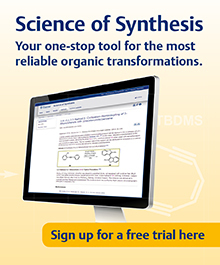 Innovating protocols for creating constrained amino acid and peptide surrogates to study structure-activity relationships, he developed the submonomer synthesis of azapeptides, aminolactam scanning and azabicycloalkane amino acid libraries for the rapid assessment of biologically relevant conformations and the evolution of peptide leads into peptidomimetic drug candidates with improved pharmacokinetic properties. Forging collaborations with biochemists, pharmacologists and physicians, his medicinal chemistry efforts have been key for teams developing intellectual property for drug discovery. For example, by developing allosteric modulators to regulate the prostaglangin-F2 receptor as interventions to prevent premature birth, an unmet-medical need with the highest cost per patient, he designed a novel lead ready to enter phase II clinical trials. Exploring peptidomimetic allosteric modulators of the interleukin-1 receptor, he developed candidates demonstrating efficacy in animal models of inflammatory bowel disease, psoriasis and osteoarthritis. Targeting the CD-36 scavenger receptor, he introduced lead molecules to treat age-related macular degeneration, the leading cause of adult blindness. 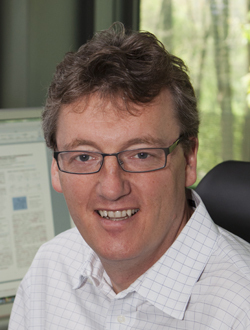 Adriaan Minnaard obtained his PhD with Prof. De Groot at Wageningen Agricultural University and became assistant professor at the University of Groningen in 1999. Since 2009 he is professor in Chemical Biology at this university. Minnaard has a long-standing interest in the chemical immunology of M. tuberculosis, in particular in the synthesis of a number of complex (glyco)lipids as vaccine candidates. This research is currently carried out in the context of the Bill & Melinda Gates Foundation. In the field of asymmetric synthesis and catalysis, the group of Minnaard contributes to catalytic asymmetric carbon-hydrogen, and carbon-carbon bond forming reactions and catalytic oxidation. Three years ago, he initiated the virtually unexplored field of selective catalytic modification of unprotected carbohydrates, in the expectation that this approach will significantly contribute to synthesis and chemical biology both. 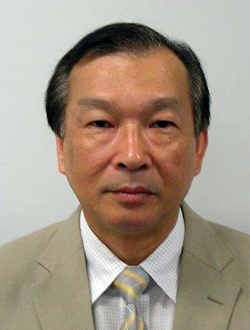 Masahiro Miura is a distinguished professor of the Department of Applied Chemistry, Osaka University of Japan. He studied chemistry at Osaka University and received his Ph.D. degree in 1983 under the guidance of Prof. S. Kusabayashi and Prof. M. Nojima. After working in chemical industry for one and a half years, he started his academic career as assistant professor at Osaka University. 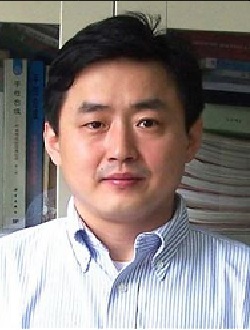 He was promoted to associate professor in 1994 and to full professor in 2005. He also worked as a Humboldt fellow at Karlsruhe University of Germany with Prof. K. Griesbaum in 1990-1991. His current research interests include transition-metal catalysis including C-H activation and the synthesis of functional molecules, especially new i-conjugated aromatic substances. Eiichi Nakamura is Professor of Chemistry in the University of Tokyo. He was born in Tokyo and graduated from Tokyo Institute of Technology with Prof. Mukaiyama for B.S., and Prof. Kuwajima for Ph.D. in 1978. After a postdoctoral stint with Prof. Stork at Columbia University, he worked first at his alma mater, and moved to the University of Tokyo in 1995. 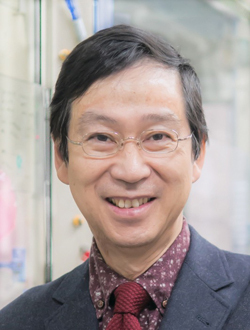 Professor Nakamura has been studying a diverse field of synthetic and physical chemistry of organic and inorganic matters with focus on their functions, inter alia, pharmaceuticals and electronic devices. Having completed syntheses of several natural products in 1980s, he switched his interest to de novo design and synthesis of functional unnatural organic compounds including organofullerenes and new pi-conjugated systems. He introduced atomic resolution transmission electron microscopy for chemistry research; inter alia, studies on the link between the molecular world and the real world. Cristina Nevado graduated in chemistry at the Autónoma University of Madrid in 2000. In October 2004 she received her PhD in organic chemistry from the same University working with Prof. Antonio M. Echavarren in late transition metal catalyzed reactions. 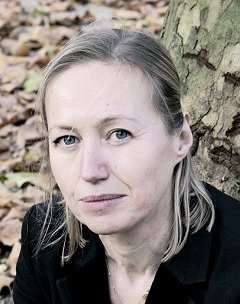 After a post-doctoral stay in the group of Prof. Alois Fürstner at the Max-Planck-Institut für Kohlenforschung (Germany), she joined the University of Zürich as an Assistant Professor in May 2007. In 2011, Cristina was awarded the Chemical Society Reviews Emerging Investigator Award and the Thieme Chemistry Journal Award in recognition of her contributions in the field of synthetic organic chemistry. 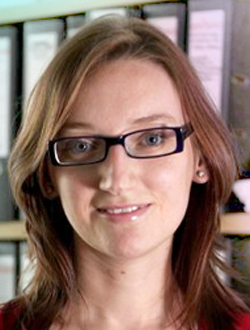 In 2012 she received an ERC Junior Investigator grant and has been awarded the Werner Prize of the Swiss Chemical Society. In 2013 she became Full Professor at the Organic Chemistry Institute of the University of Zürich. Rooted in the wide area of organic chemistry, her research program is focused on complex chemical synthesis and new organometallic reactions. Magnus Rueping studied at the Technical University of Berlin, Trinity College Dublin and ETH Zürich. He conducted doctoral studies with Professor Dieter Seebach and obtained his Ph.D. in 2002 from ETH. He then moved to Harvard University to work with Professor David A. Evans. In August 2004 he was directly appointed to a C3-associate professorship, the Degussa Endowed Professorship of Synthetic Organic Chemistry, at the Goethe-University Frankfurt. After four years in Frankfurt he accepted a Chair and Full Professorship of Organic Chemistry at RWTH Aachen University. His group’s research activities are directed toward the development and simplification of synthetic catalytic methodology and technology and their application in the rapid synthesis of diverse functional molecules. Amos B. Smith, III, born in Lewisburg, PA in 1944, received Bucknell University’s first combined B.S.-M.S. degree in chemistry (1966) under the direction of Professor Harold W. Heine. After a year in Medical School at the University of Pennsylvania, he entered Rockefeller University, completing his Ph.D. degree (1972) and a year as a Postdoctoral Associate with Professor William C. Agosta. In 1973 he joined the Department of Chemistry at the University of Pennsylvania where he is the Rhodes-Thompson Professor of Chemistry, a Member of the Monell Chemical Senses Center, and an Honorary Member of the Kitasato Institute, Tokyo, Japan. In addition, Professor Smith serves as the inaugural Editor-in-Chief of Organic Letters. From 1988-1996 he was Chair of the Department. His research interests, recorded in over 660 peer review publications, include organic synthesis of architecturally complex natural products, bioorganic chemistry and materials science. Shannon Stahl is a Professor of Chemistry at the University of Wisconsin-Madison. His research group specializes in the development and mechanistic characterization of catalytic aerobic oxidation reactions. In addition to fundamental studies of these reactions, he has recently been working with several companies in the pharmaceutical and commodity-chemical industries to address practical challenges needed to implement such reactions on scale. His group is also investigating the chemistry of molecular oxygen related to renewable energy, including fuel cells and photoelectrochemical solar-energy conversion. Shannon was an undergraduate at the University of Illinois at Urbana-Champaign (B.S., Chemistry, 1992). He subsequently attended Caltech (Ph.D., Chemistry, 1997), where he studied Pt-catalyed oxidation of methane to methanol in the laboratory of Prof. John E. Bercaw. From 1997-1999, he conducted postdoctoral research at MIT in the lab of Prof. Stephen J. Lippard, investigating an enzyme called methane monooxygenase. F. Dean Toste was born in 1971 in Terceira, Azores, Portugal, but soon moved to Canada. While at the University of Toronto, he majored in Chemistry and Biochemistry and went on to obtain a M.Sc. in Organic Chemistry in 1995. He then moved to Stanford University where he completed his Ph.D. in 2000 under the guidance Professor Barry Trost. After a post-doctoral appointment with Professor Robert Grubbs at the California Institute of Technology, he took a position as an Assistant Professor of Chemistry at the University of California, Berkeley in 2002. In 2006, he was promoted to Associate Professor, and is currently Professor of Chemistry. Research in his group is primarily aimed toward the development of catalysts, catalytic reactions and methods for organic synthesis. Prof. Toste and his coworkers were instrumental in the past decades advancement in the field of homogeneous catalysis with gold. As part of these studies, the Toste group has investigated the use of chiral counterions, including with cationic gold complexes, as a paradigm for asymmetric catalysis. They have recently applied these discoveries to the development of chiral anion phase transfer catalysis. 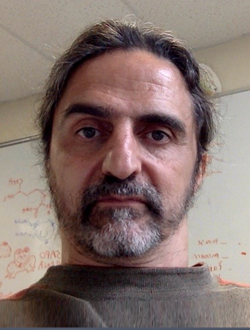 Stéphane Vincent received his Master and PhD degrees in bioorganic chemistry from the Université Louis Pasteur (Strasbourg, France) with Charles Mioskowski. After postdoctoral studies first at The Scripps Research Institute in the research group of Prof. Chi-Huey Wong and then in Strasbourg with Prof. Jean-Marie Lehn, he took up a permanent position as a CNRS researcher in 2001 at the Ecole Normale Supérieure (Paris). 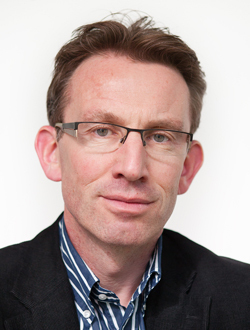 In 2004, he began an appointment at Université de Namur (Belgium), as Assistant Professor then Full Professor in 2014. His research interests include the glycosciences, biocatalysis, and mechanistic enzymology.